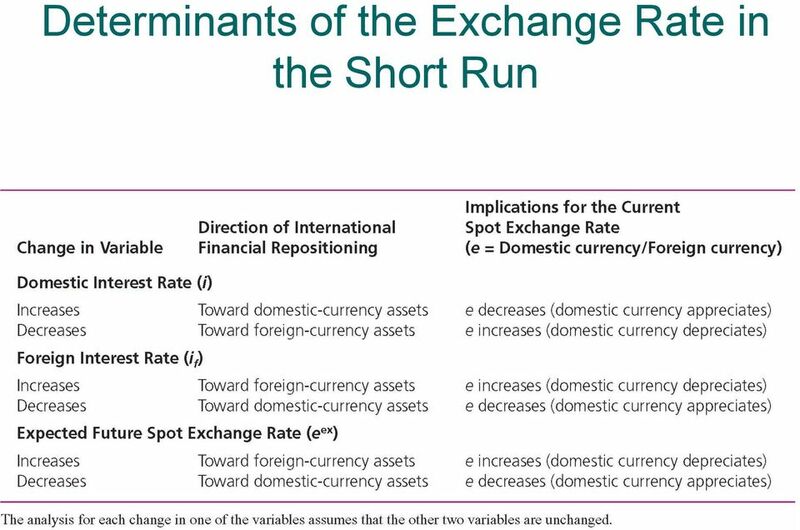 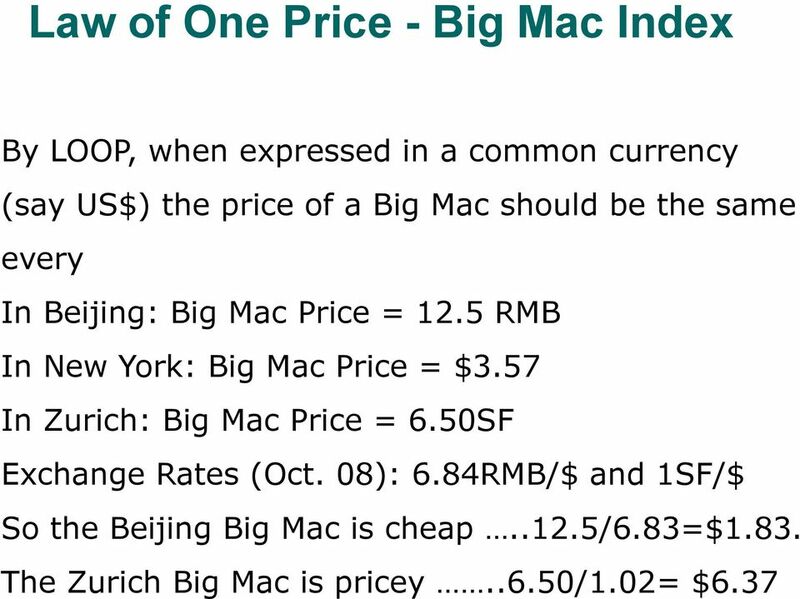 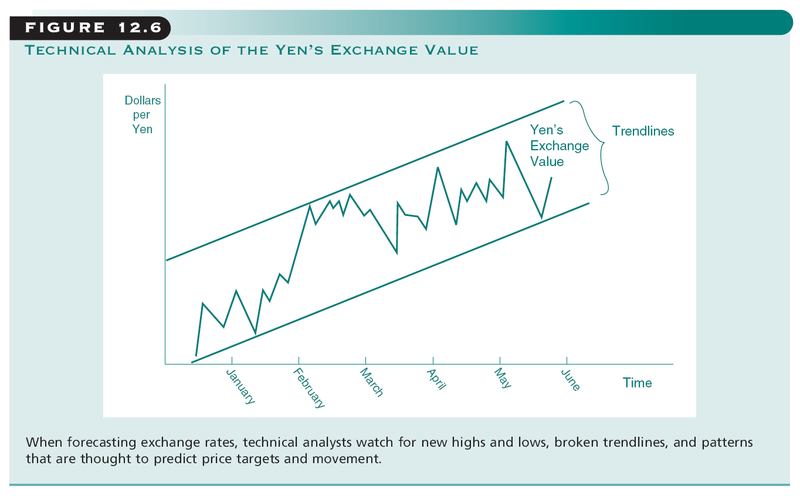 Download "What Determines Exchange Rates? 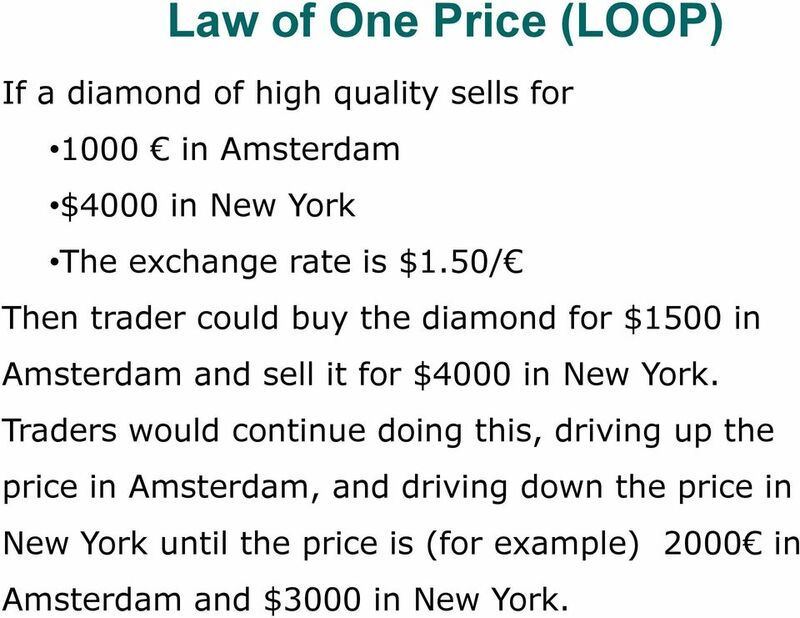 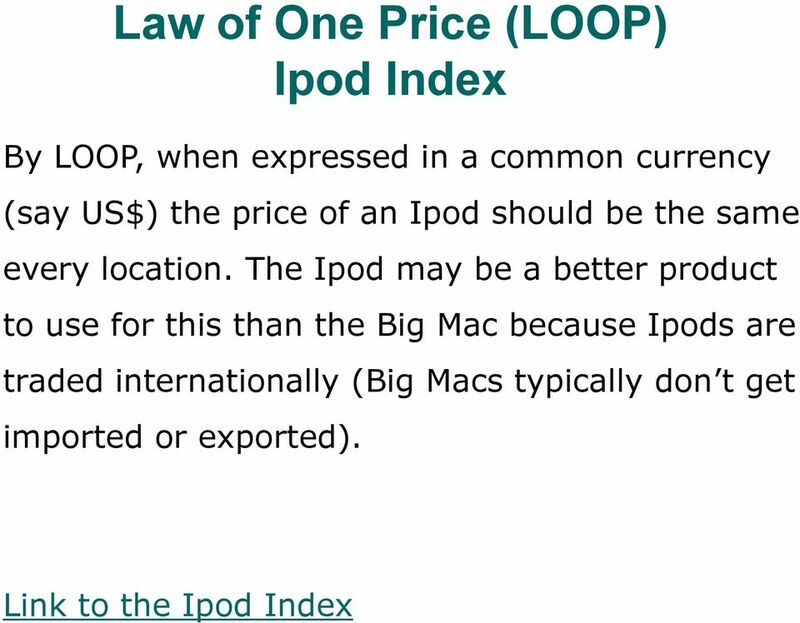 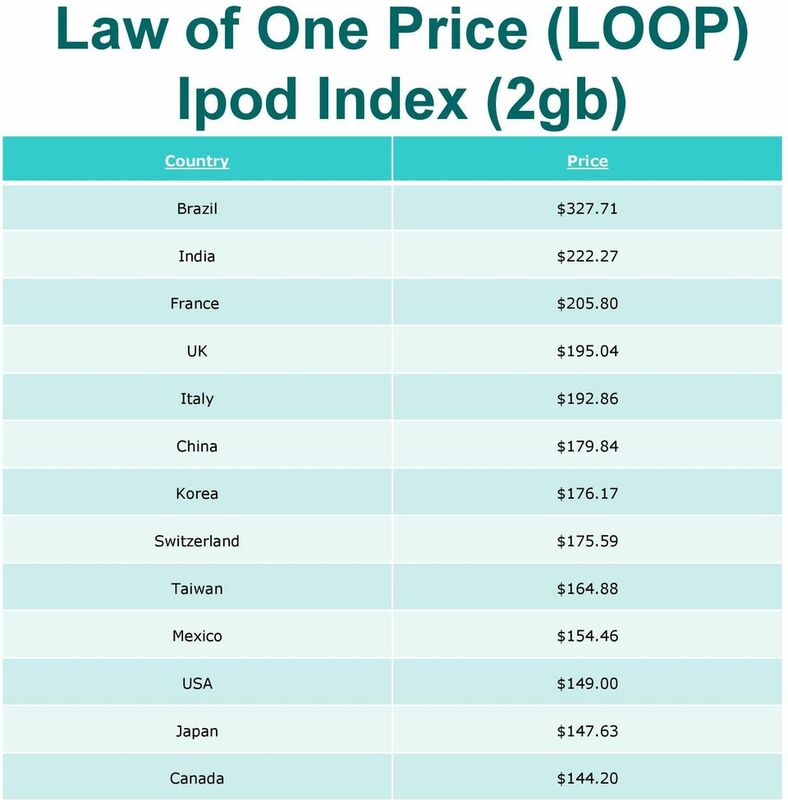 In the Short Run In the Long Run"
8 Law of One Price (LOOP) If a diamond of high quality sells for 1000 in Amsterdam $4000 in New York The exchange rate is $1.50/ Then trader could buy the diamond for $1500 in Amsterdam and sell it for $4000 in New York. 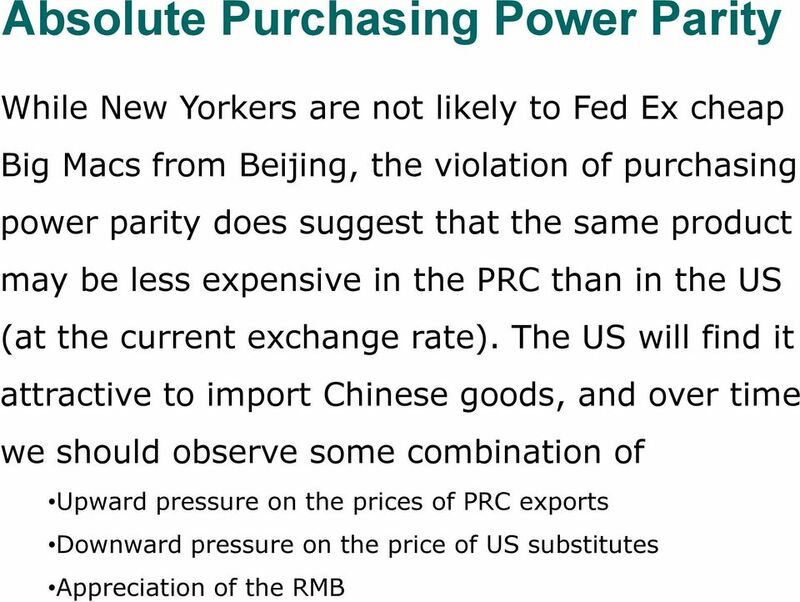 Traders would continue doing this, driving up the price in Amsterdam, and driving down the price in New York until the price is (for example) 2000 in Amsterdam and $3000 in New York. 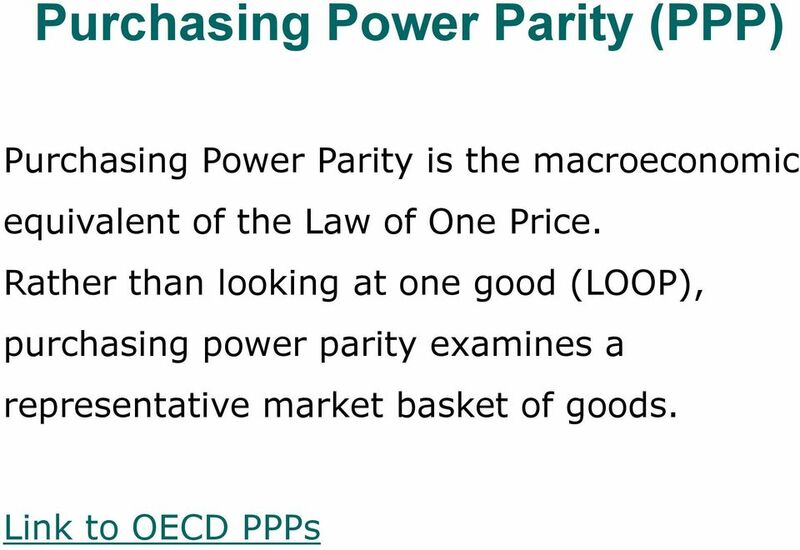 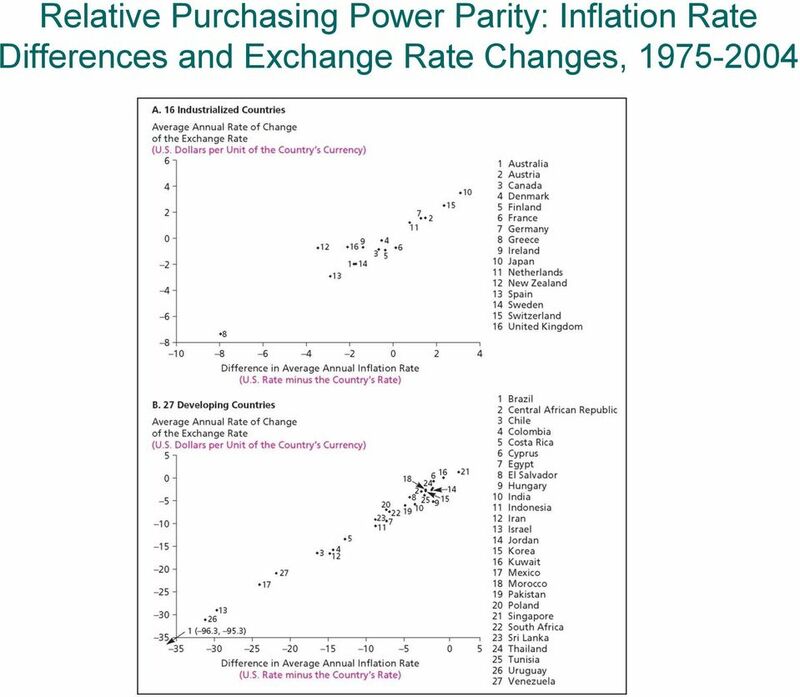 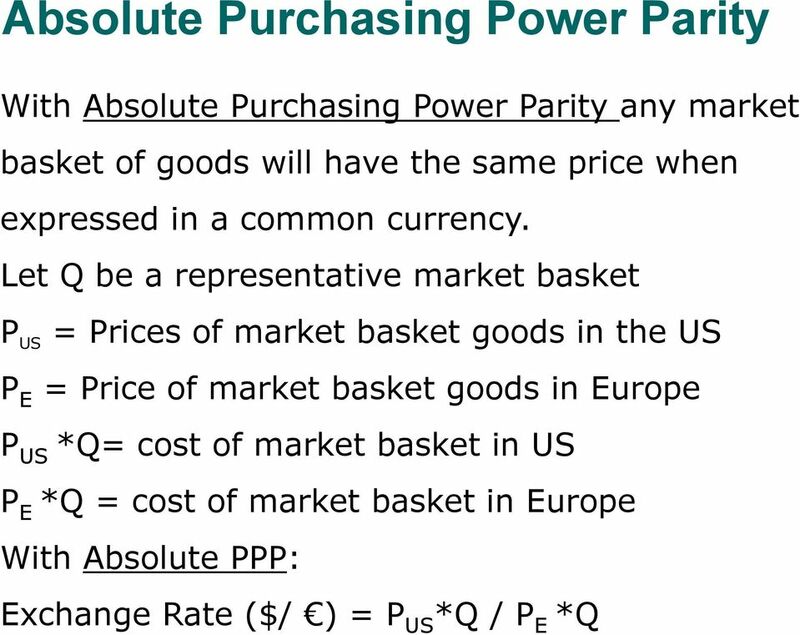 18 Relative Purchasing Power Parity Application of the concept (Table 12.4) Between 1985 and 1987 prices rose by about 400% in Mexico while US prices only rose by 5%. 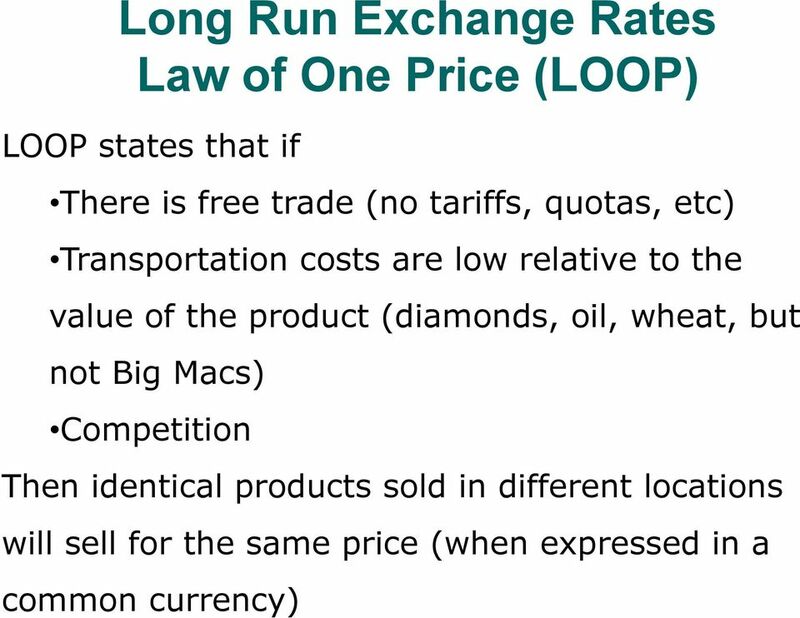 So it makes sense that since the prices of the same Mexican goods rose by a factor of 4, their currency (compared to the US$) would be worth about ¼ of what it was worth in 1985. 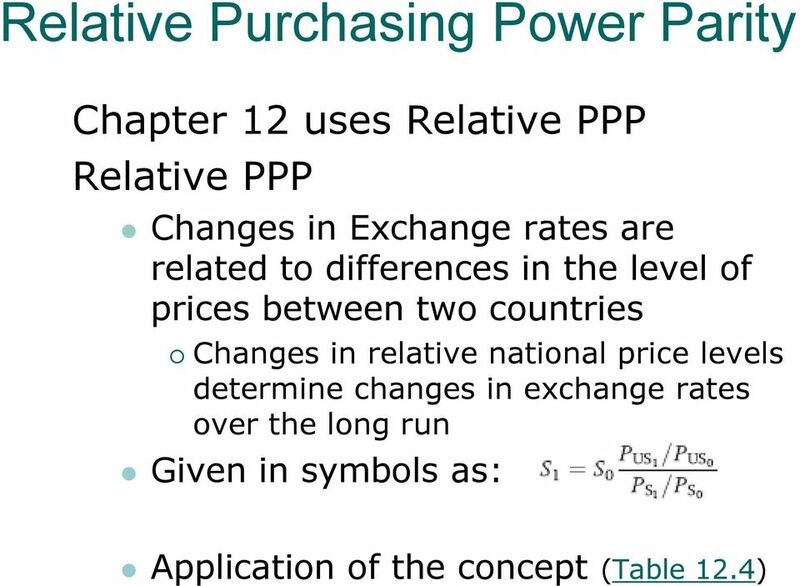 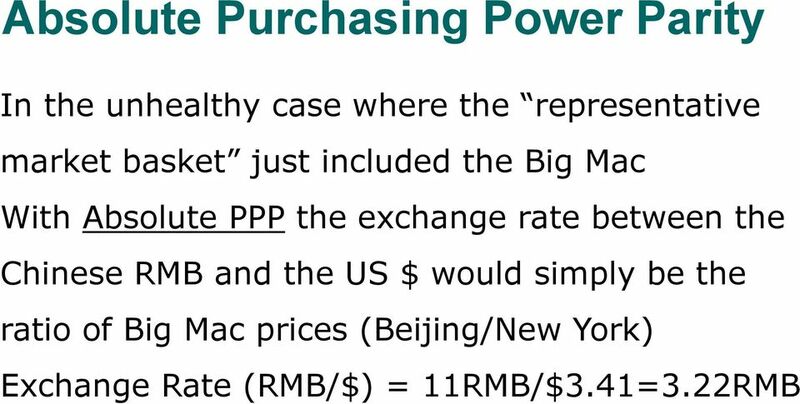 19 Key Implications of Relative PPP A country with a relatively high inflation rate will have a depreciating currency (a declining nominal-exchange-rate value of its currency). 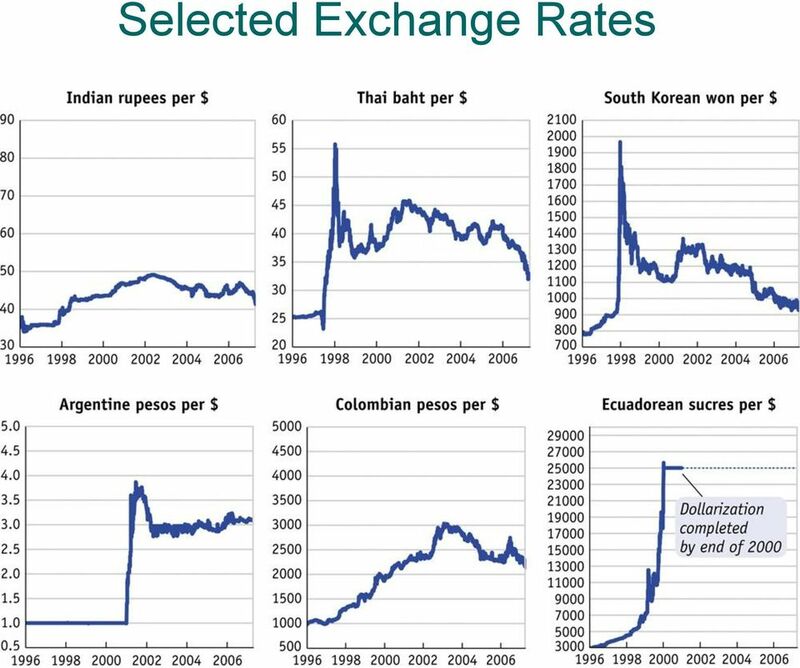 A country with a relatively low inflation rate will have an appreciating currency (an increasing nominal-exchange-rate value of its currency). 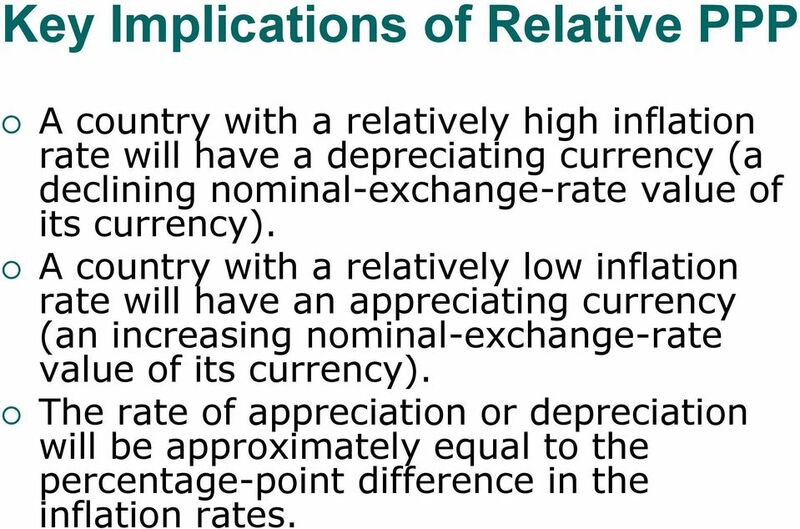 The rate of appreciation or depreciation will be approximately equal to the percentage-point difference in the inflation rates. 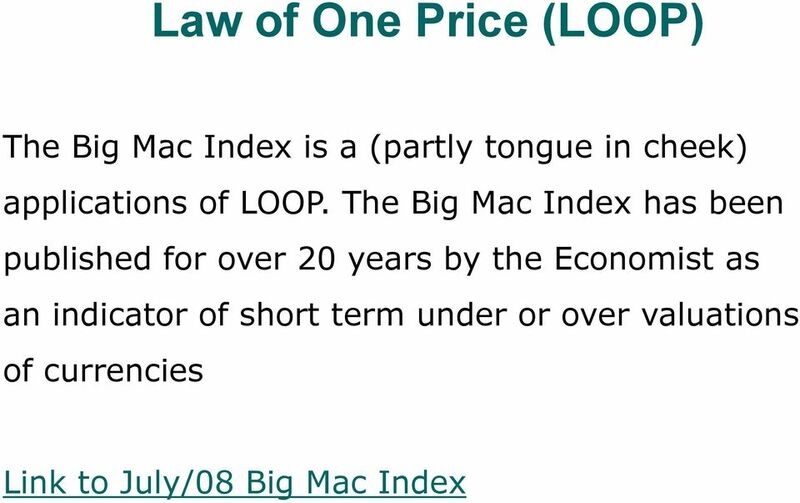 27 Too Much Volatility? 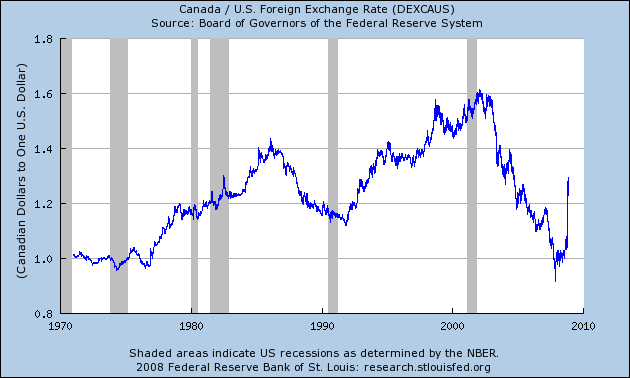 Exchange-Rate Overshooting In 1980 the US$ was 1.2 Canadian, by 1985 it was back to 1.2, then rose to 1.6 in 2000, only to fall back to 1.2 in 2005, and fall to less than 1.00 in 2007, only to come back to 1.2 today. 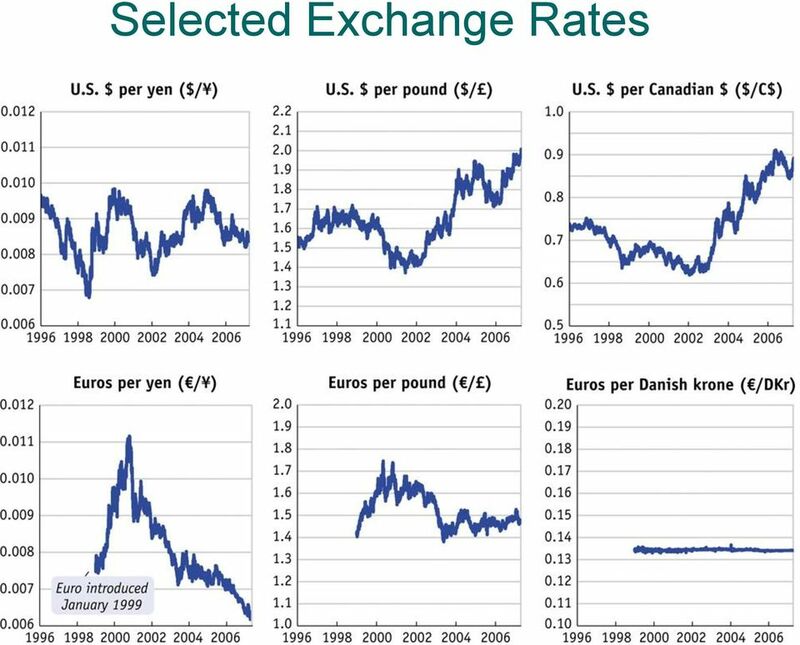 Did all this variation reflect changes in the two economies?